So, you’ve moved into your new home. You’ve painted the walls, bought new furniture and hung up some pictures. All done. Once you’re ready to tackle the garden, there are a few things to consider and address first. Your new garden will be a completely blank canvas which gives you the opportunity to put your mark on it and really make it your own. For nearly all new builds, the garden consists of three elements: the lawn, the terrace and the fencing. A landscape which offers little distraction from just how close your neighbour’s house is to yours. A landscape made of hard surfaces which bounce the sounds of every word you whisper, every car that passes, lawn mowers, strimmers, children screaming: the volume is turned up to the max. 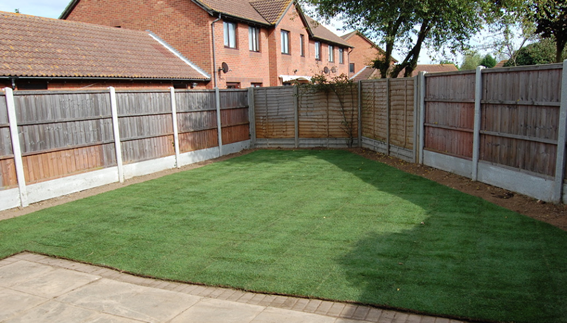 Many clients who have new build gardens become obsessed with screening. They have so little to look at in their own garden that their focus is on the surroundings, so it’s all about adding interest as well as creating a space that functions well. In this Park Town mews garden in Oxford we included two terraces, a series of pathways between various planting beds, a small storage shed, giant urns, Buxus hedges and herbs. In 2012 I was asked to design a garden for a new build in the beautiful Cotswold village of Southropp. It was a good-sized garden but had nothing but a nice low wall, lawn and an oil storage tank, placed in full view of the kitchen dining room! We transformed it into a series of linked spaces each with a very different feel. A gravel garden with a pergola linking it to the main terrace, a shady garden full of ferns, Buxus, Acers and colourful ground cover, and Herbaceous borders edging the lawn which wrapped around the end of the house. Tucked out of sight is a herb garden with a special place for morning coffee in full sun. A handy utility area was hidden away behind bespoke built fencing, which matches the slatted screening above the low wall. We created a truly lovely garden, which continues to bring pleasure season after season. Video showing the development of a new build garden in Oxford.